Last week I shared a card that was part of the #simplestamping challenge. Here is another set of cards using the Home to Roost stamp set which is one of the products you can receive for free during Sale-A-Bration. 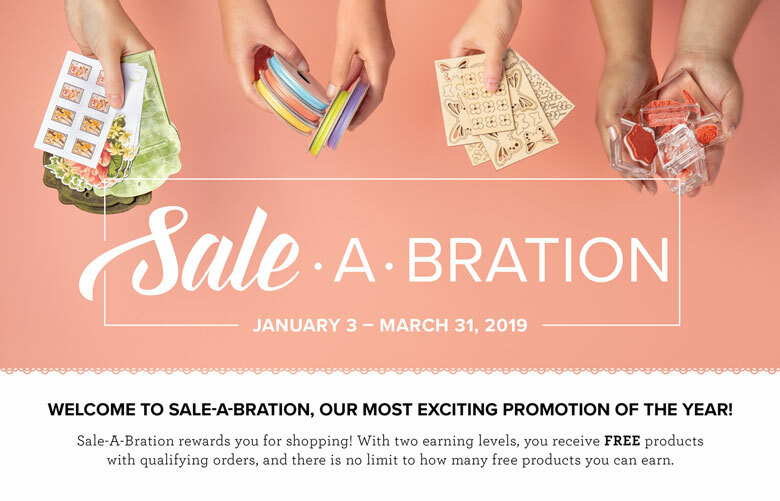 For every $50 purchase, you can choose a level 1 product for Free, for every $100, you can choose a Level 2 product or 2 – Level 1 products for Free! Don’t delay, place your order now! These two cards use the Note Cards & Envelopes pack which comes with 20 pre-cut and scored note cards and matching envelopes. This makes creating cards quick and easy. 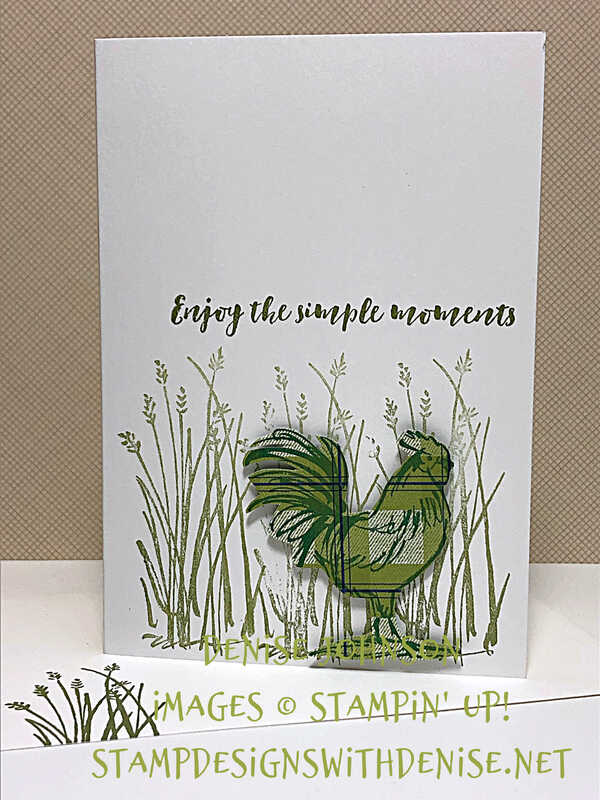 #simplestamping – uses only paper, ink and a stamp set. These two cards use designer series paper to add a little more color and interest to a simple card. Stamp the grass and sentiment on the card base with Old Olive ink. 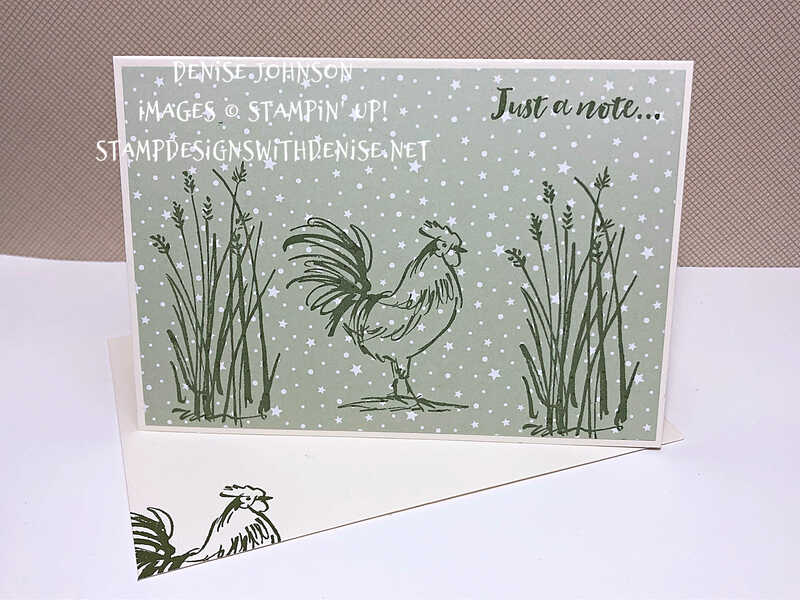 Stamp the rooster on the Designer Series Paper with the Shaded Spruce ink. Use the paper snips to fussy cut the image out. Attach to the card base with dimensionals.